Travelers leave the USA, Europe or Australia, and we have two options: One, grin and bear the misery, and call ourselves tolerant, or Two,adapt, invent. We do not want travelers, members of the Hobo Travel Community, to tolerate the romanticization of travel. We want you to adapt, invent, innovate and thrive, "Then tell us how you lived in paradise for 500 dollars per month." Then, when we have 2,000-3,000 per month, we can live the life of leisure. We want to be rich and famous, not for a day, but the rest of our lifelong trip. 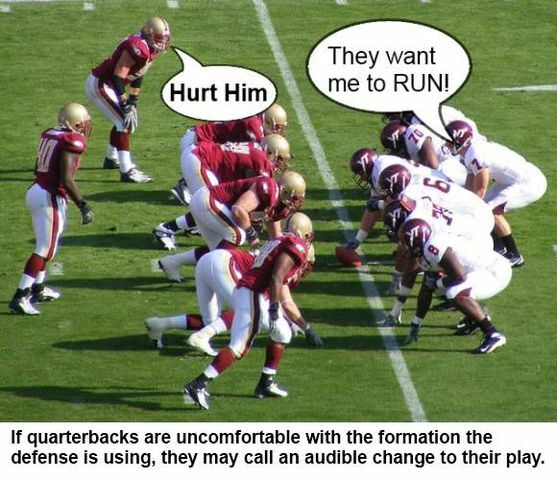 Can you call an audible at the line of scrimmage of life? Do you even have a clue what I am talking about? Travel causes emotional pain, but your friends expect to hear you say, "I love it." But you could reply, "No, I paid 5,000 dollars for the family to visit Europe to work on a remake of the film with Chevey Chase, 'European Vacation.'" 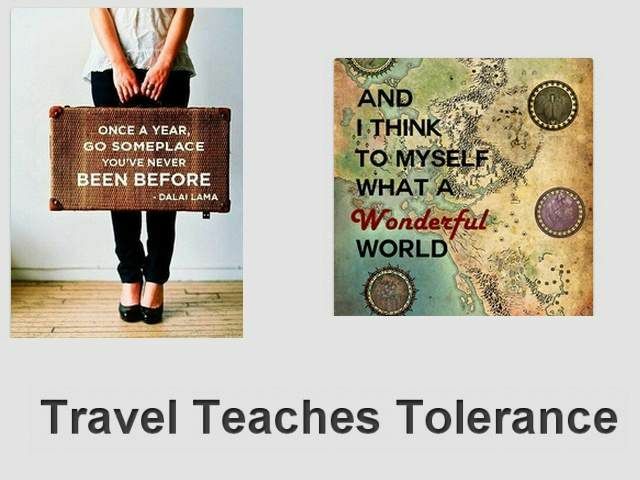 Does travel teach tolerance? Maybe, but for sure it teaches that the world is a crazy place, and the ones that survive, adapt and invent an have some truly innovative ideas to share. Travel takes us to strange lands, exotic cultures with people doing things 100 percent differently than home. We can steal their great ideas to call our own when return home, and people will think we are clever. Tolerance? Maybe we really don’t learn that so much. But learning to be clever on demand during travel forces us to reinvent ourselves – or run for home. Adapt, invent, innovate and thrive, or grin, bear it and spend money trying to avoid the country you are visiting – that is travel; that is your choice. PS: Real travelers do not pretend to love something. We felt what we felt. Travel is an emotional journey. We learn to love life on life's terms – no Reader’s Digest, Conde Nast world, just reality with our eyes wide open. Dalai Lama's statement is not just about physical travel it is probably more about mental travel. We do not always have to hit the road to go some place different. Tourist are people under 15 days, traveler go longer, but seldom longer than one year. when longer than three they get my attention. There are many that go live abroad for up to seven years, then return to there homeland. A few,1 in maybe 100 who moved abroad, stay abroad. In my opinion, it is no God that keep them there, is not women, wives, husband or lover. it is when they adapt, invent, and reinvent a place for themselves. The bottom line for me is curiosity, and who in their right mind would wear a coat in Indiana for seven month of the year. Immerse and adapt, and learn to accept the people, and hide when necessary.